Today's post is a special interview with this month's featured sponsor, Maiya Kim of Couture Within Reach. The premise behind her small fashion business is really cool, and I'm excited for her to share more about it with you today! Hi Maiya! Tell us a little about Couture Within Reach. Where are you located? Who runs the company? Hi everybody! 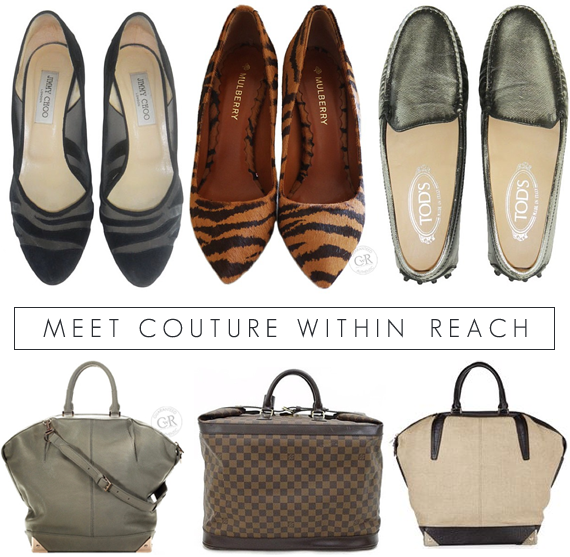 Couture Within Reach is the best online boutique for a fashion-forward woman to find authentic designer items to purchase (at more affordable prices), or to consign her own items for sale. Our office is located in downtown Manhattan, and our store is online. I run the business myself as the founder and owner of Couture Within Reach. I have two dedicated part-time employees and some great student interns as well. 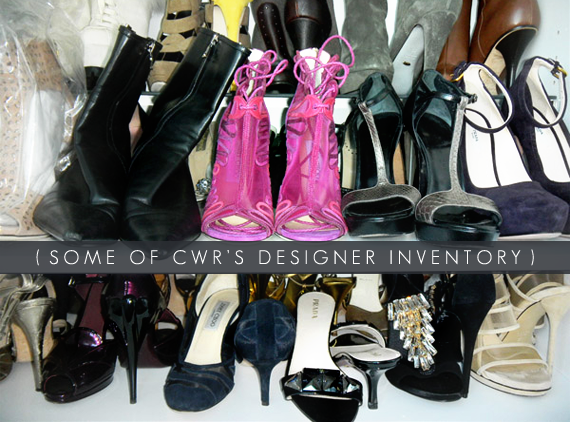 What was the inspiration that led to the creation of CWR? How did you get started? It started when I resigned from my desk job at a financial company and finally had the time to clean my closet. I have always had a passion for fashion and penchant for designer items, and I like to experience new and exciting trends. But in order to get, and afford, those new items, I needed a way to earn extra spending money. So I decided to sell my gently-used older items. In deciding how to do this I researched various consignment stores, but was shocked by the high fees many of them charge. This was especially true for those with a physical presence who need to cover high costs such as rent and utilities. That gave me the idea to sell the items myself, and to develop an online consignment store to do so, so that I can offer low consignment rates with better service, and also make the items available to customers worldwide. What is Couture Within Reach's mission? At the heart of Couture Within Reach is "affordable luxury fashion." Our mission is to provide affordable luxury fashion to our customers who buy, as well as to provide a marketplace for our customers to sell their own affordable luxury fashion. 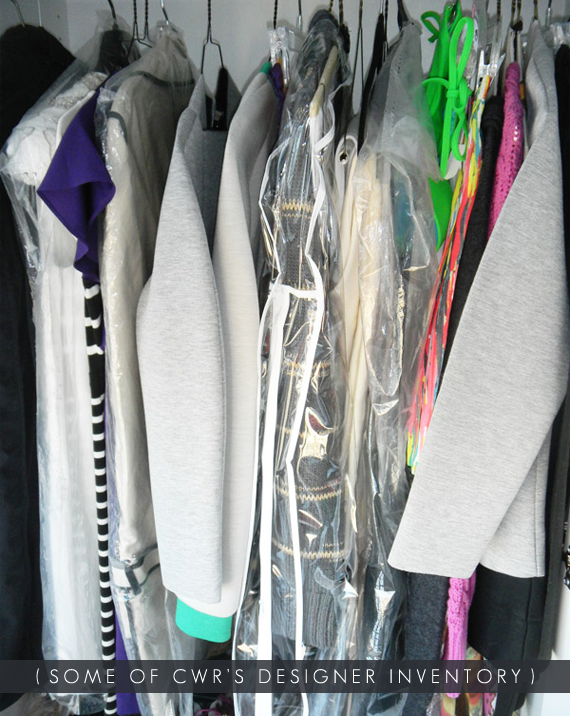 We are here to help you clean your closet or update your closet! Are there any other businesses that have influenced you creatively? Major online fashion retailers always give inspiration in terms of designs, business concepts and marketing strategies! The Bubby and Bean blog focuses on living a creative lifestyle. Aside from CWR, are there other creative endeavors or special projects that the folks behind CWR participate in or find interesting? We are a member of Manhattan Chamber of Commerce, a business membership organization that allows us to connect with the other small business owners, entrepreneurs, leaders and executives to learn about working positively within our community and to help grow our business as well. One of my employees, Sandra, is a former beauty pageant winner and very active in promoting the culture and tourism of her home country. My other employee, Kenny, volunteers her time at a non-profit organization that is dedicated to eradicating child slavery and exploitation. If you had to pick one item that you carry that is your favorite, what would it be? 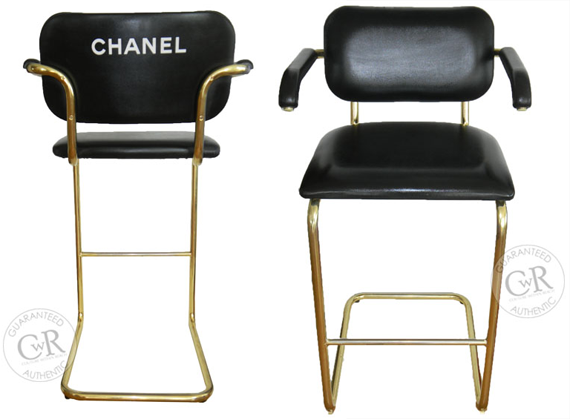 I would pick the Chanel make up chair I recently sold because it was a unique and amazing piece. It would make a cool vanity or bar chair and I was tempted to keep it for myself, but it ended up selling very quickly! We just celebrated our one year anniversary in October and are growing quickly. In the future we hope to meet many more fashionistas as customer buyers and sellers worldwide. Is there anything else you'd like to share with Bubby and Bean's readers? Don’t forget, consigning items is a very fashionable form of recycling, so go green and consign your designer items with us at Couture Within Reach! Thank you Maiya for sharing a little about your fantastic company with us! Make sure you pay Maiya's shop a visit so you see all of the amazing clothing, accessories and shoes she and CWR have available. And if you're looking for a place to consign your own fashion pieces, she's your girl! 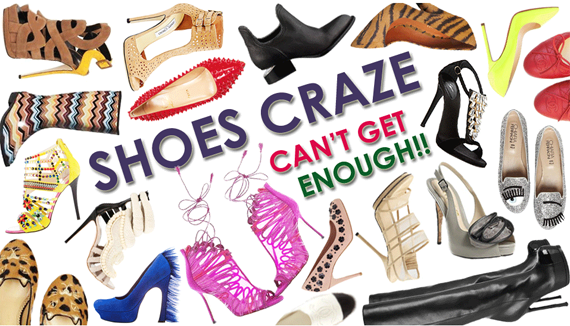 The team at Couture Within Reach has also put together three seriously amazing discounts just for you guys. To use any of them (listed below), just mention the code BUBBYANDBEAN right here or via email at hello (AT) cwrnyc.com. 1. Referral Program: Get $30 credit/cash for each consignor you refer to us (normally $25)! 2. Consignment Fee Discount: Consign your designer items with us and enjoy the special rate of 20% consignment fee (normally 25%)! You'll get paid up to 80% on each item sold. 3. Free Shipping: When you shop, please enjoy free shipping. Just email us the code BUBBYANDBEAN and we will credit you back the S&H fees! You can also find Couture Within Reach on Twitter, Facebook, Pinterest, and Instagram. I love that Balmain tunic. I'll go over to the site and have a look. That red dress is great! Such a cool company! I'm interested in selling a few things through them for sure. Thanks for your comments! I'm glad to see others interested in this great company! Thanks for the introduction to this amazing business, Melissa - I've just recently started thrifting more seriously, in the interest of adding a few more designer pieces to my wardrobe while still working with my budget, so I'll definitely be browsing Couture Within Reach. I just wish I'd known about it before that Chanel chair sold. What an amazing piece!